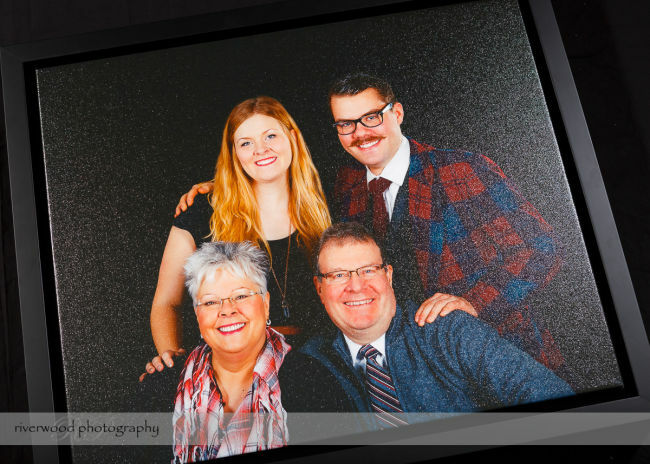 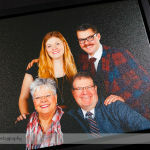 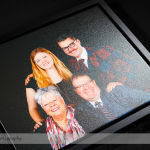 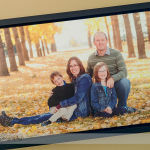 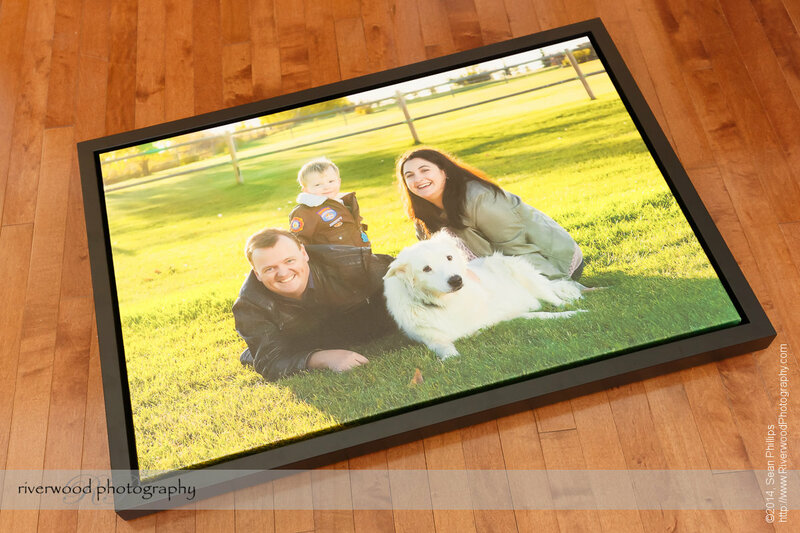 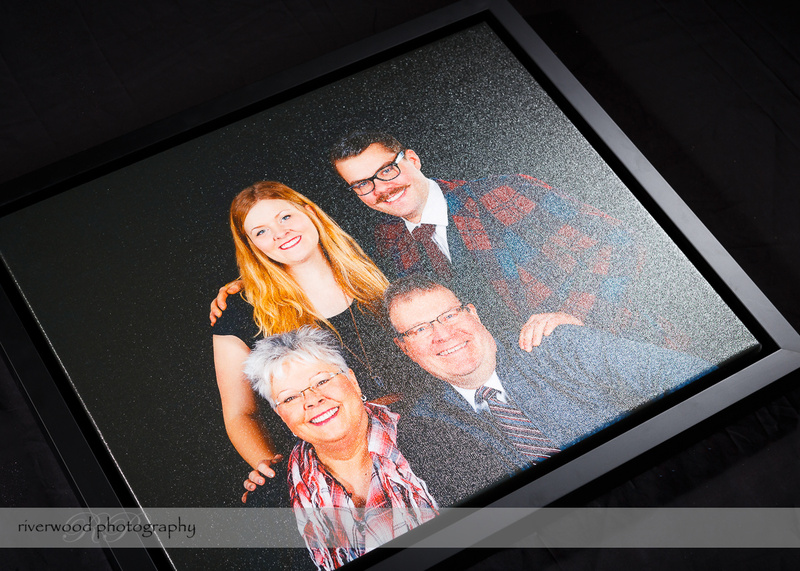 We have recently added a beautiful new product to our wall portrait lineup: Framed Canvas Prints. 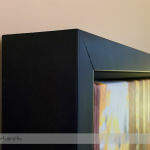 These are traditional gallery wrapped canvas prints that are installed in a contemporary floating frame. 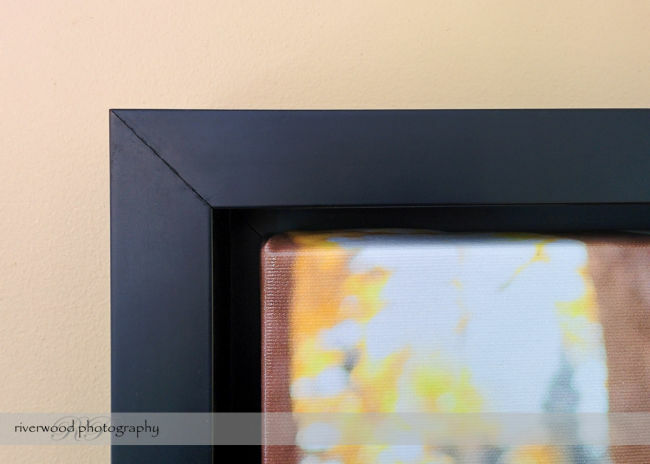 The frame takes a piece of wall art that would be great on it’s own and adds some extra flare. 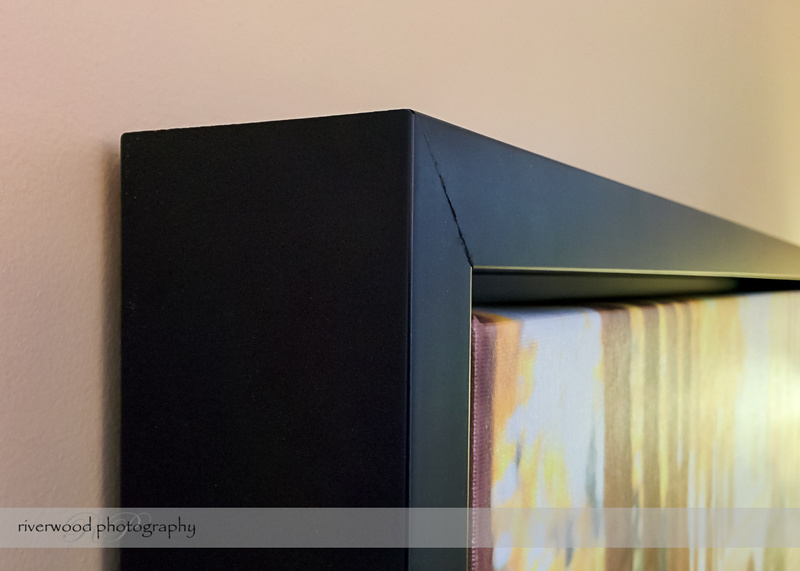 It really make the whole package pop when displayed on your walls. 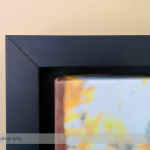 The frame is designed so that it appears to float around the canvas. If you look closely at the finished piece you can still see the image wrapped around the canvas stretcher bars, but the wrapped edge is not as significant as it would be on an unframed canvas. 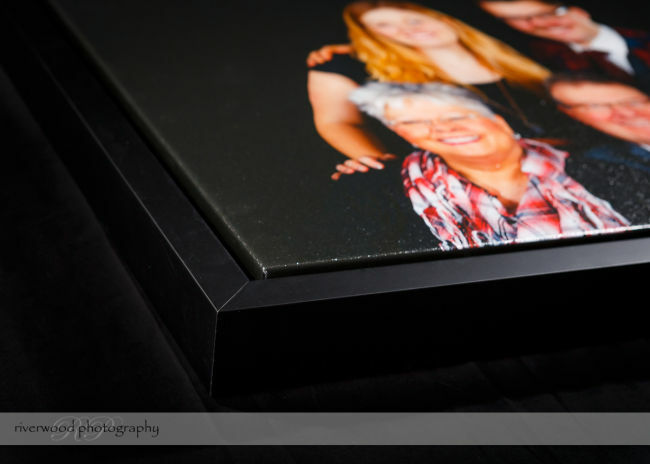 The frame really accentuates and draws the eye to the main image; it adds some extra size and majesty to the finished piece. 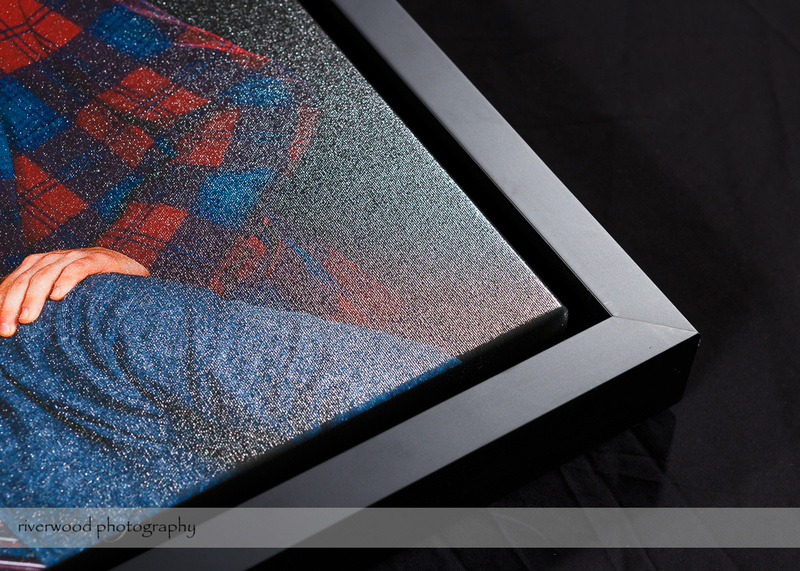 I’m really excited about this product and I a great sample on display. 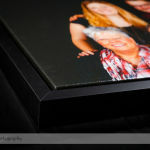 I would be happy to show it to if you’d like to have a closer look! 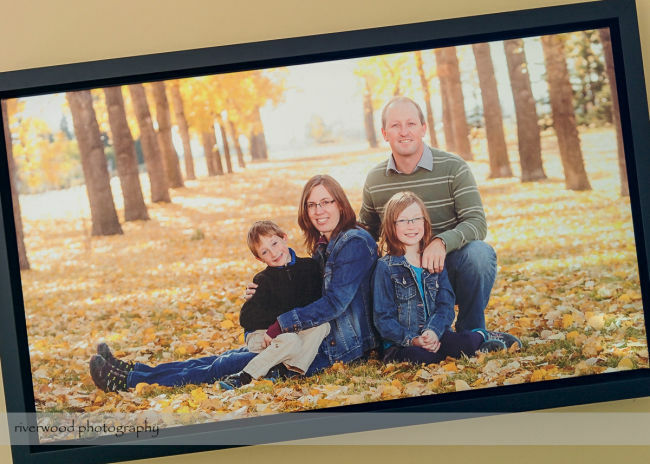 This is another product that is being assembled by our preferred framing supplier, Karen at Time Frames Custom Picture Framing. 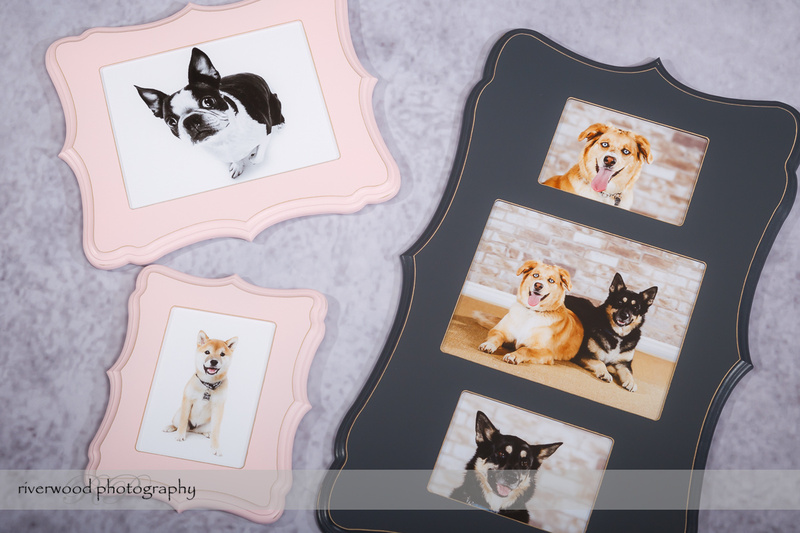 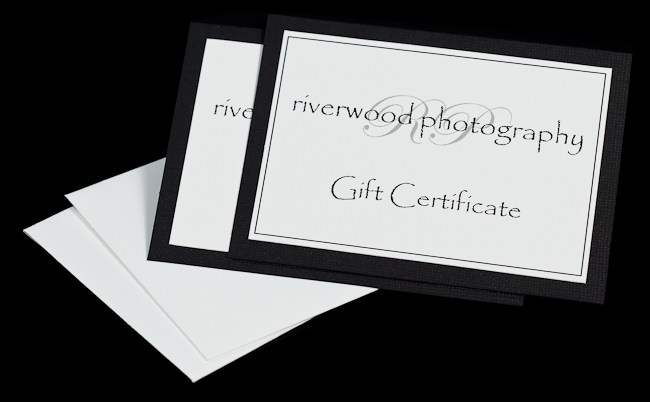 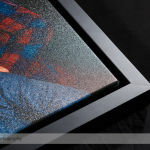 They come in a variety of sizes and other frame moldings are also available upon request. Floating frames are carefully assembled by hand at Karen’s studio, and they arrive ready to hang. 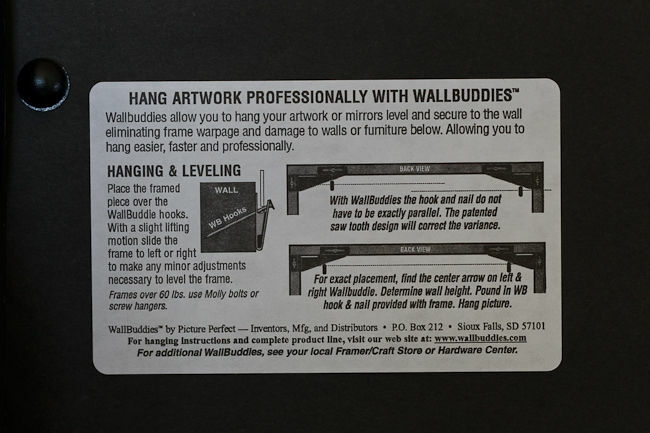 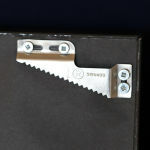 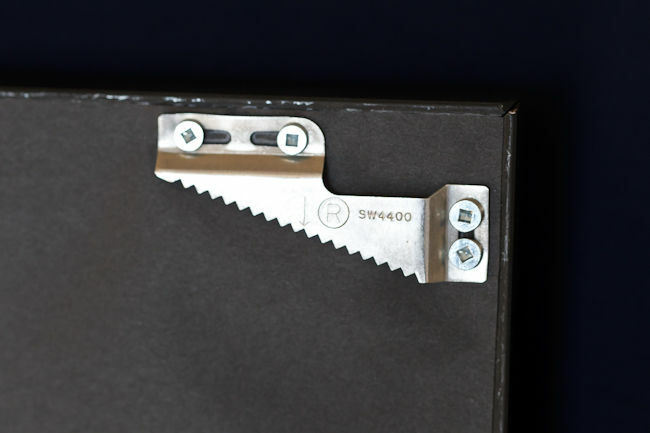 As with the other Time Frames products that we offer they also include “Wallbuddies” mounting hardware. 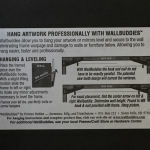 These are premium, self-leveling wall hanging hardware that make it incredibly fast and easy to get your wall portraits up and on display in your home.